Please join us for our annual 8 day retreat February 27th - March 7th. Retreats include extended sitting practice, chanting, bowing, and private Dharma interviews with guiding teacher Zen Master Bon Soeng. Everyone is invited to participate, regardless of experience or traditions. Limited to 25 people, priority will be given to those sitting all 8 days. Minimum of one full day. Sitting less than a full day only allowed with Zen Master Bon Song's approval. Please join us for a 3 day retreat Friday, September 18 through Saturday, September 20. Retreats include extended sitting practice, chanting, bowing, and private dharma interviews with Jason Quinn, JDPSN. Everyone is invited to participate, regardless of experience or traditions, in parts or all of the retreat. Please join us for a 3 day retreat Friday, May 15th through Saturday, May 17th. 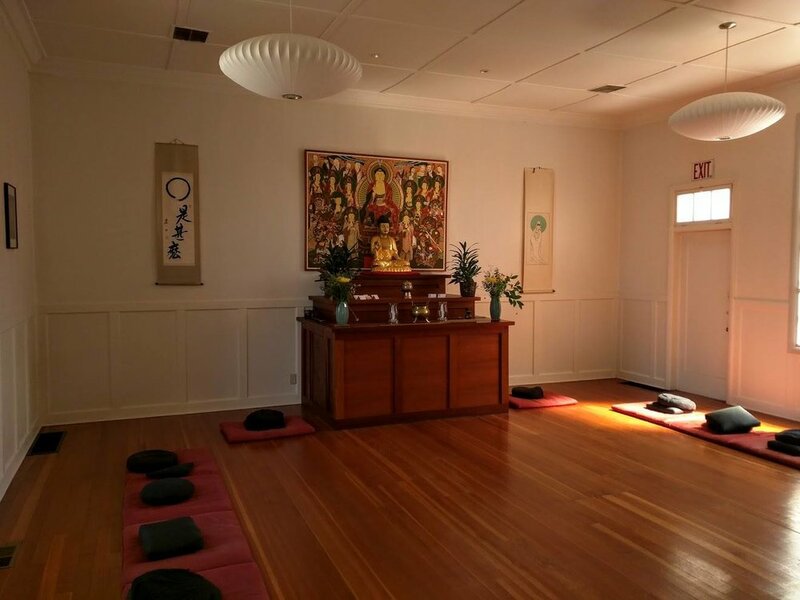 Retreats include extended sitting practice, chanting, bowing, and private dharma interviews with special guests Zen Master Soeng Hyang and Zen Master Bon Shim.. Everyone is invited to participate, regardless of experience or traditions, in parts or all of the retreat. Zen Master Soeng Hyang (Barbara Rhodes) is the School Zen Master and Guiding Dharma Teacher of the Kwan Um School of Zen. Zen Master Bon Shim is the Guiding Teacher of many Kwan Um School of Zen centers and groups in Poland, the Czech Republic, France and Spain. Please join us for a 2 day retreat Friday, December 19th through Saturday, December 20th. Retreats include extended sitting practice, chanting, bowing, and private dharma interviews with guiding teacher Zen Master Bon Soeng. Everyone is invited to participate, regardless of experience or traditions, in parts or all of the retreat.